Proudly supported by the INTERISLANDER, Team Makaira-Interislander (Mana Pasifika OCC) won the Waka Te Tasman W6 Open Men at Kaiteriteri on the weekend. 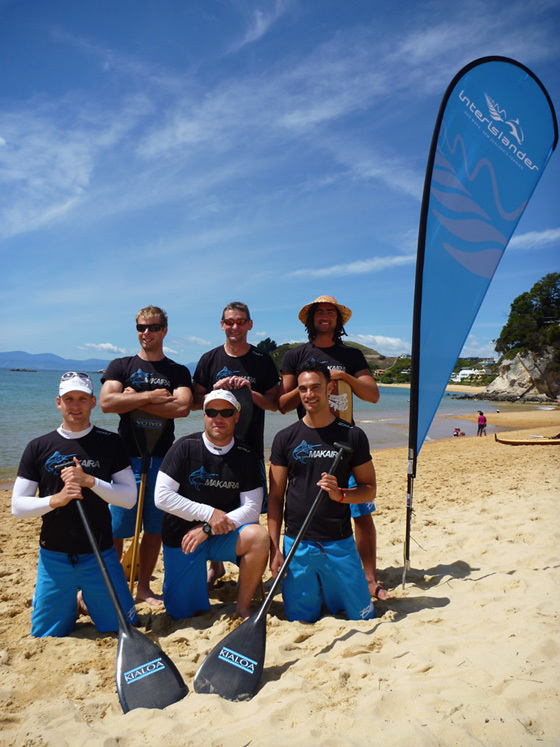 Local team Motueka Men, winner of the race for the last three years, came second in a gripping and neck-to-neck race. Makaira retained the upper hand in all three stages of the event. A big thank you to Chris Fox, coach of Team Makaira, for the outstanding support and patience in the build up to this race and on the day, and for making this win a reality. Team Makaira is now headed to Vaka Eiva in Rarotonga (19-25 Nov). Kaiteriteri again delivered fantastic weather conditions. The organisers put on a great event with excellent catering. This has to be one of the most well organised and best value-for-money events in New Zealand. Click here to access the full race results. Congratulations to all teams and paddlers that participated in this great event.